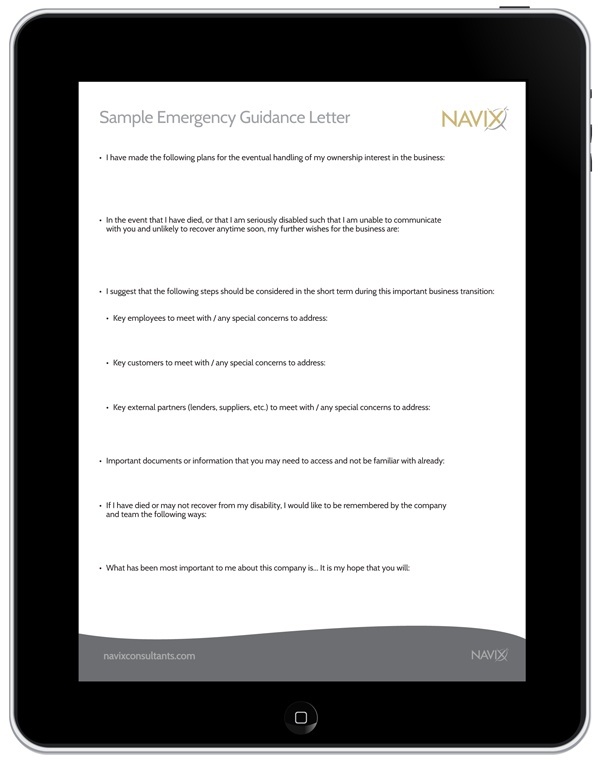 One of the simplest and most effective risk management tools if something should happen to you is an Emergency Guidance Letter. This is your way to let family and top employees know what to do with the business if you cannot tell them yourself. We rarely meet owners who have this device, yet if something happens, it can be as important as any insurance policy. 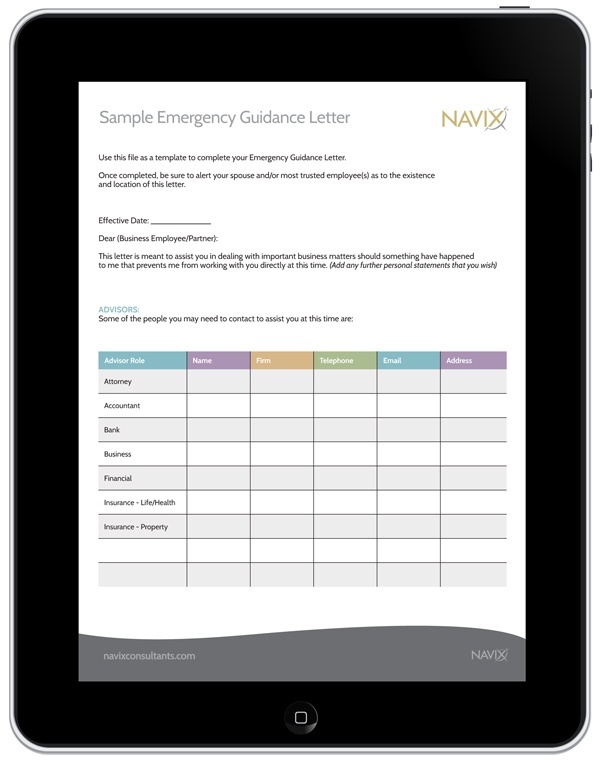 To draft your letter, download this template. Then consult with your advisors and devise simple but clear guidance on these and any other issues you feel are important. 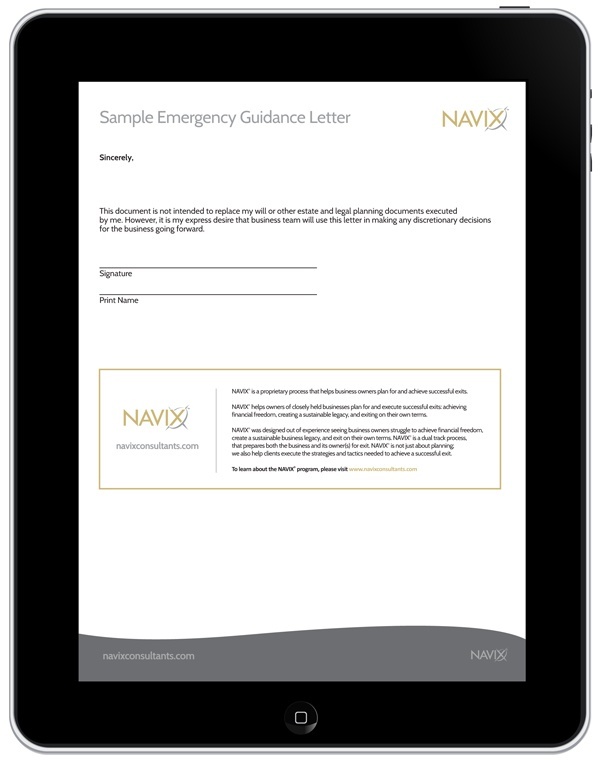 Make sure the letter is stored in a place where trusted employees or close family members will know to access it in the event of an emergency.